The moving process comes with a boatload of choices. If you’re planning to relocate in the near future, one of the first questions to ask yourself is how you plan to move into your new apartment. Sure, you’ll need a moving truck and plenty of boxes, but have you considered the differences between hiring movers and doing it all yourself? This mostly depends on budget, proximity to your new Florida apartment, how much stuff you’re moving, and your personal preference. We’re here to help you figure out which of these moving methods is right for you! First and foremost, the process of moving itself begins with creating a budget – and actually sticking to it. This expends past rent budget with the cost of purchasing moving supplies, renting trucks, gas, insurance, and hiring professional help. In short, moving is not cheap, so establish a moving budget to help you decide how much DIY tactics or hired help will impact your wallet. Whether you’re relocating across town or across the state, the type of moving help you’ll need will vary because of distance. 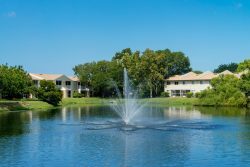 If you’re moving from Audubon Cove in Ft. Myers to Ranch Lake in Bradenton, for example, you may find it easier to do a majority of the move by yourself (or with the help of friends) with a few car loads. However, if you’re packing up and headed north, hiring a moving company is your best bet. Both of these options comes pros and cons, but the biggest is expense. Just remember that hiring a moving company is going to cost you quite a few Benjamins – so keep this in mind when planning your moving budget. You’ll quickly realize just how much stuff you have as you begin to sort, pack, and relocate it. Take some time think about the current size of your home, its contents, and what you may have in storage facilities. If you’re moving a one bedroom or studio apartment, the amount of items you’ll transport is much less than a 3 or 4 bedroom. It may be cheaper to rent a moving truck yourself, but don’t forget, you’ll need to physically pick up the truck, pack and unload it, and bring it back within a certain amount of time. Not to mention, this is more time consuming compared to hiring a crew to do it all for you. Hide-Away Storage offers packing and moving services, with locations in both Bradenton and Sarasota. A Mover’s Tip: There are quite a few moving apps for your smartphone to help you keep track of your possessions throughout the move. Check it out! Packing up clothing and smaller home accents is no problem with a few rolls of tape, bubble wrap, and sturdy boxes. But do you know how to properly prepare, pack, and transport antique, fragile, or sentimental items? With DIY moves, you don’t need to worry about perfectly packing your belongings (although we do recommend labeling every box). All the movers will want is your boxes to be sealed and ready to go when they arrive. Easy! But, if you’re tight on time and have a ton to pack, especially valuables, most moving companies offer packing supplies and careful transportation services. This is a super convenient all-in-one deal that really takes the stress out of moving – but it will cost you. When weighing out your DIY or hired help options, it all comes down to your personal budget and preference. 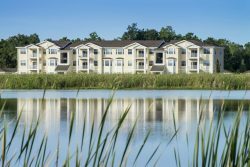 Once the move is said and done, you’ll be able to fully enjoy your new Forest Properties apartment in sunny Florida. Share your DIY or hired help experiences with readers on Facebook!